Trading Recap: Easy Friday! +$692! What’s up everyone? All right, it’s Friday, weekend is here. Today was another green day, which is awesome. This week, a little bit choppy, three green days, 2 red days, and I’m finishing the week, more or less, flat. And that’s a little shy of what my goal was, but I’m finishing in the morning here, $692, and any time you have a good size loss, which I had on Tuesday, it’s nice to be able to bounce back quickly. We know with trading you’re never going to be, have a straight equity curve that just goes up. You’re going to go and down, and up and down, and up and down, and so it’s nice, when you drop down, to be able to bounce back fast. It’s disappointing when you pop up and drop down, and then you go sideways for three weeks, or you keep going down for 2 weeks and you spend another 2 weeks getting back up, and it feels like it takes a whole month to get back to the high. So for me, bouncing back quickly, I love it, and we’ll be back, fresh territory on Tuesday morning. Hopefully go to all time highs on the month. Still sitting right around 76, 77 thousand on the month. Goal was a 100K, that doesn’t feel realistic anymore, so going to bring that down to a goal of 85 thousand. I want to break 85 thousand this month, that would make me feel real good, and that would mean I would be donating 47 thousand or so to, or no, I guess 42 thousand to charities. So that’s what I’m excited about here for the month of May. All right, so let’s break down today’s trades in today’s mid-day market recount. What’s up everyone? All right, so let’s see, we’re going to breakdown the trades from today. Finished in the morning up $692.39, not the biggest day of the week, but green is good. It’s been a choppy week. This week I had a goal making $12,500, and I’m break even. So I’m definitely shy on that goal. 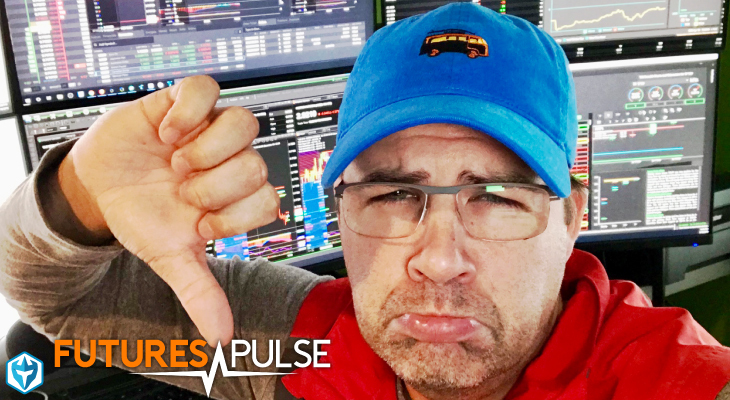 I had a $450 loss on Monday, a seven thousand dollar loss on Tuesday, made back seven thousand roughly on Wednesday. Yesterday I was up nine thousand, but I finished the day only up 16 hundred, and then today at 692. So a grind. Choppy week, no follow through for me. A couple good trades, but then a couple of big losses also. A little bit disappointing there, because I had this goal of hitting a 100 thousand dollars for the month, and now I only have three days left to do it, and that makes it pretty unrealistic. In the next three days I’d have to make, well, 25 thousand dollars. I’d have to make, oh I guess it’s 22 thousand, but still I’d need basically two 12 thousand dollar back to back days. I think that’s setting an unrealistic expectation. So rather than an expectation of 100 thousand dollars this month, maybe setting the expectation of 85 thousand is more realistic. Now, if I hit 85 thousand dollars this will be my second best month of all time. I can feel good about that. Mine current second best month of all time is 84 thousand, and right now, as of today, if today was the last day of the month, this would be my fourth best month of all time. But, I’m in pretty good shape but I’m not going to have best month of all time, unless we have something crazy happen next week. And you never know. I mean that’s the crazy thing with trading and that’s the reason I hate taking days off, because it’s whenever I take day off that a stock goes absolutely insane. That’s the day when I’m, “How is this possible?” My timing is impeccable, but in any case three days left in the month. Today’s the 94th trading day of the year, still sitting right around 280, 280 thousand 600 bucks, whatever. It’s been a good year. It’s been a good month. Half of my profits this month are getting donated to charities, in honor of Memorial Day, so that’s something that I’m really exciting to be doing. We talked about this yesterday, and I talked about it earlier this morning as well. 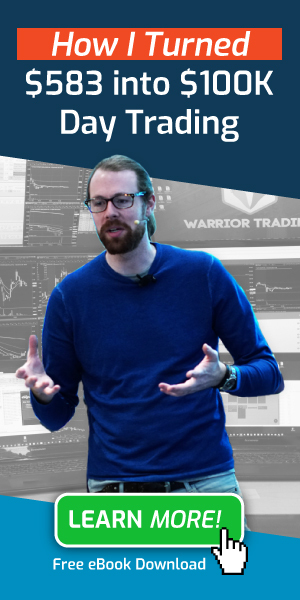 Anyone in the Warrior Trading Community that wants to make a pledge, we’d love for you to show your support for this challenge that we’re doing, even if it’s only 20 bucks. You can see the page right here. I haven’t updated this in a couple of days, but we’re going to be making these donations to various charities and organizations, and the Berkshires, because that’s where we’re setting up our new East Coast office. I was doing the consulting for architects and designers, that was okay, but the work was slowing down. And then I stumbled on trading, and that seemed like an interesting career, and I started to get into it. Right away I was just, “This is awesome. This is really pretty cool.” I could of probably just as easily at that time gone down a different path, because I was just looking for work that I could do from home. I mean this just seemed to be the one that was the right fit for me. This summer, many of you who are watching, you may be finishing up school, and you’ve got summer breaks. 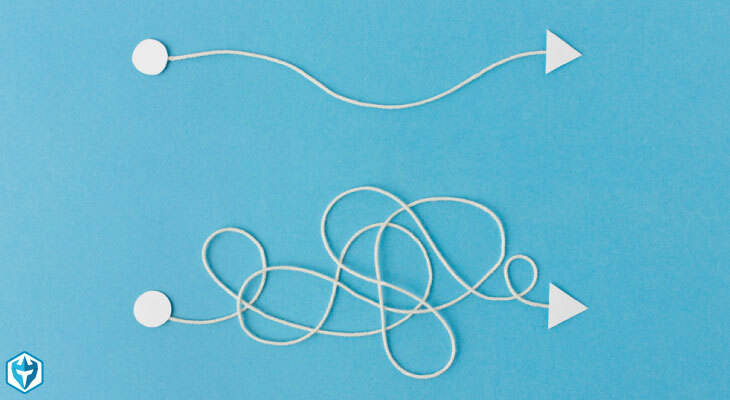 Some of you guys are teachers, and so we want to think about the three months of summer, and taking those three months to learn this new skill of trading the markets. So your summer office, and the idea being that if you are successful at this, that this can be your office. So for Mike, his summer office is on his boat. He’s got his hot spot set up and he’s able to trade from the boat. I set up my laptop out by the pool and did a little video of trading poolside. I think Roberto, he made a video of trading from Budapest, trading and traveling. 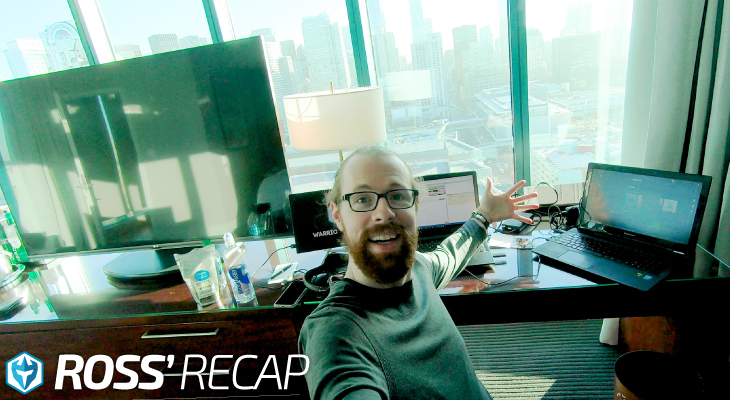 Your home office, your office can be wherever you are, right? All you need is the computer, and the internet connection and the strategy. So what we say is, “You guys provide the internet connection, we’ll provide the strategy. 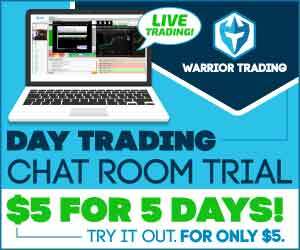 We’ll teach you how to trade to markets.” Love for you guys to take advantage of our Memorial Day Sale, come over to the website, you’ll see the banners on the top, like we have right here for the Summer Sale. You click on that, you’ll get the coupon code so you can sign up for our Warrior Pro Class, or if you want to join the Warrior’s Starter, join the Warriors Starter. If you want to join the chatroom, join the chatroom. Now, trades from today. Not an easy day, a little bit choppy. I started the morning with a 15 hundred dollar loss on FCSC. This one was on our watch list, it was actually the leading gapper this morning. It was the stock gap picking up the most in the entire market. It was on the scans though, because it was a reverse split, so that creates, sometimes throw off the scanners. So it was a reverse split, we were watching and I said, “Ah, I don’t know, I’ll keep it on watch.” The bell rings, and it pops from 316 up to 388. And I was, “Wow, okay, well it’s showing strength.” So I ended up getting in at 399 and 401. I was getting in for this kind of one minute micro pull back. Its hits a high of 407, and then it started to drop. I scaled out half at 402 to try to reduce my risk, and then I sold the rest for a loss at 367, and was down 15 hundred bucks in, let’s see, three minutes of trading. So I was, “Oh, man I shouldn’t of even come in to trade today, this is Friday, it’s going into the long weekend, what was I thinking?” So in the red. And so I was, “All right, we’ll give this a second, we’ll see what it does,” it comes back up, and I got back in at 385, that was right here, because it started to pop up. Tapped a high of 395, but then hit $4 and it pulled back, and I ended up selling it through this blue box, because it was choppy. So I got in at 385, I added at 399, I ended up selling it like 403, 403, 399 and 393. It was just kind of choppy. So I made back 700 bucks, and I was still down 800 on the day. And then, it breaks through high at day, and the moment it breaks through high of day what happens? It hits the scanners, and so now it’s on the scanners right here at 409. And so traders who utilize these scanners, and then of course there’s thousand and thousand that do, they see it hitting new highs, they pull it up, they look at the daily chart, and boom, they can see it’s a recent reverse split stock. And they can see that the daily chart’s pretty strong, with room up to 460, 485 and then the 200 moving average of 637. And so all of a sudden it pops up from 407 to 440, without me and hindsight was 20/20 the FOMOS was real because I had 75 hundred shares from 393, and that would’ve been like a three thousand winner, but it is what it is. So I ended up adding at 439, right here. It pulled back for a second, and then as it crawled back up I tried to get in at 49, I got a partial fill, it’s then halted on a circuit breaker. All right, so now it’s halted for 10 minutes. It finally resumes, it squeezes up to a high of 393, as it squeezes up, and I’ll just zoom past this, we’ll go back to that one in a second, as it squeezes up I start taking some profit at 79 and 62, and then I added at 73 as it curled back up, and I sold it at 85 and 87. Ended going to a high of 517, but I didn’t really capture the whole move. Despite the fact that this stock squeezed up over a dollar from my initial entry, I only made $38 on it. So this was one, that for me, you know I got faked out on the first trade. I kind of got faked out during this chop and then it opened up without me. And that’s the way it is sometimes. No big deal, no hard feelings against FCSC, we’ll give it a try another day, but $38 of profit, and the PSX, this one hits our scanners while I’m in the halt of FCSC, and I see it and I’m initially, “Well, it’s a little too cheap at a $1.20. I don’t think I’m interested, but I’ll give it a second.” Pops up to a $1.40, $1.50, and I get in at a $1.47, anticipating the break at the half dollar, and looking for a test of the 200 moving average, which is 166. So I jump in at $1.47, or 45, 48, 47’s my average. I added at 50, I quickly sold as soon as it popped over the half dollar. And that’s what I wanted to see, this was a break out trade, getting in for the whole dollar break. Pulls back and then I end up adding at 53, let’s see where was this, no, did I add at 53? No, I didn’t. I was watching at 53 for the one minute micro pullback. I was still holding, and I sold through the spike, it then pulls back, and I did a little one minute micro pull back from 168 up to a high of 174, long at 69 out at 72. So some small trades on it. Really, not a lot of profit for me. 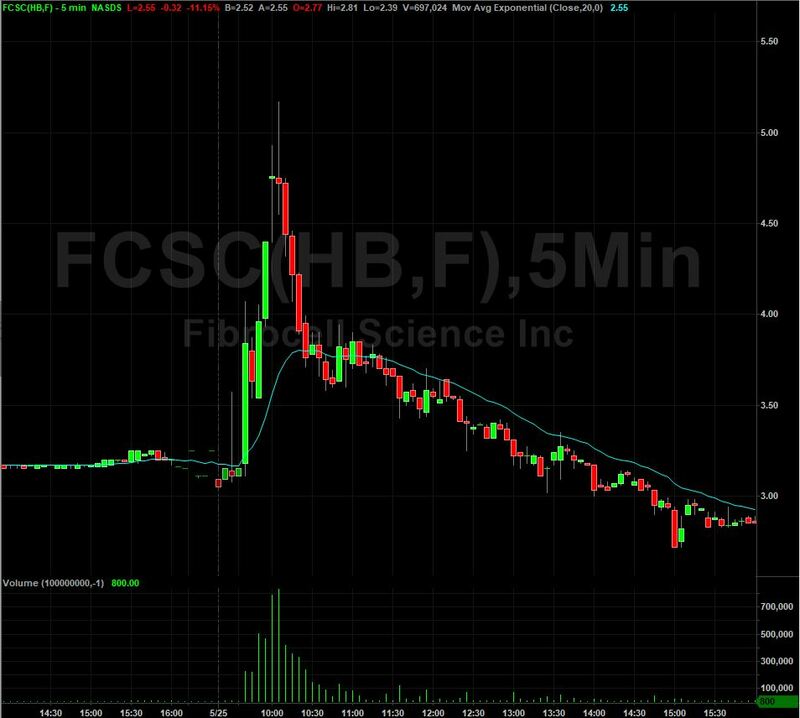 3.5 millions shares of volume on that one, 4.19 on FCSC, $692 on the day. The other stock that I saw you guys trading was GAP, GPS, Mike shorted this shortly out of the gate, out of the open. And you can see this fade from $30 down to $29, and it’s now at $28.50, so for those of you who like higher priced stocks this was a really clean short. It doesn’t get a lot better than that. So good job for those of you that made some money on it, and I hope you guys all go into the weekend feeling good. You’ve got some profit, and just enjoy the long weekend. We don’t get a lot of them, so we’ll be back at it on Tuesday morning. Markets are closed on Monday, and I’m just going to enjoy the weekend. Those of you that are in the classes, I encourage you to study. 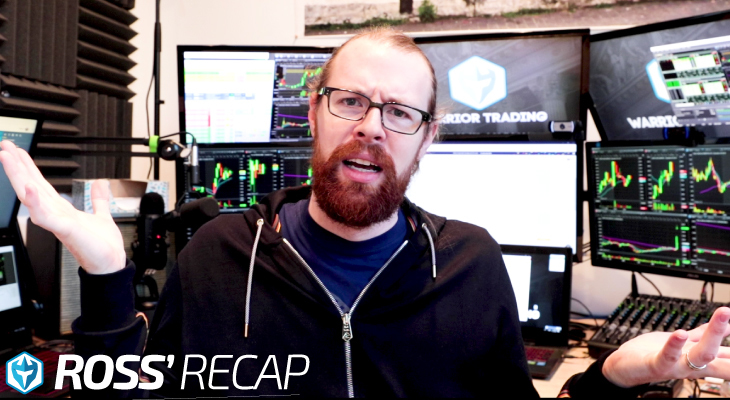 I uploaded a live trade yesterday to the parabolic trading section, so I’ll show you guys again where that is for those you that missed it this morning. So when you login to your classes, you’ll see where your Warrior Pro Starter, the Mentor Sessions. For those that are in the Warrior Pro Course, you’ll see this advanced classes, so we’ll go to the trade day course. And then you can scroll down, lets see, chapter five, chapter six, bunch of live trades on this. 15 thousand dollars there, 39 hundred there, keep going down, keep going down, chapter eight, right here, live trading examples. So this one I uploaded yesterday. This was from CHCI, remember yesterday, CHCI was the stock that went from, what was it? A low of 215 to a high of 658. Crazy stuff, so I captured some profit on it, about eight thousand dollars in total. That live trade is right there so you guys can go back and watch it. All right, so those of you watching on Facebook and on YouTube love for you guys to throw down comments, questions below, I’ll come back through the weekend and answer them. You enjoy those videos, give us the thumbs up, subscribe to the channel and we’ll be back at it first thing on Tuesday morning. All right, hope you guys all have an awesome weekend. And I’ll see you on Tuesday. If you’re still watching, you must of really enjoyed that video, so why not subscribe and get email alerts anytime I upload new content? 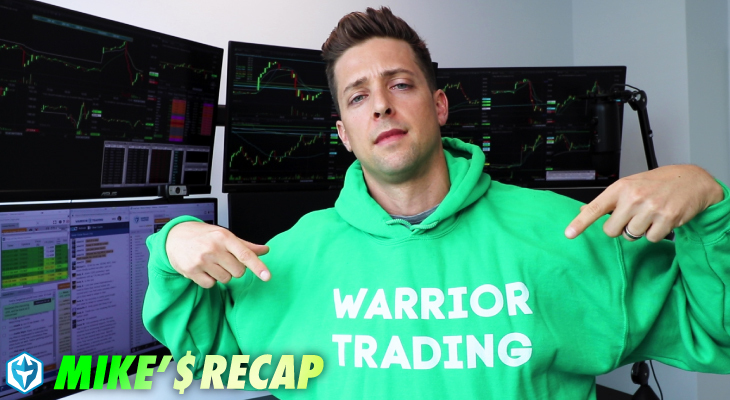 Remember when you subscribe you become a member of the Warrior Trading Family.